Smart Lists are lists that automatically get populated based on some pre-set filters. Some people call this custom views or smart filters. 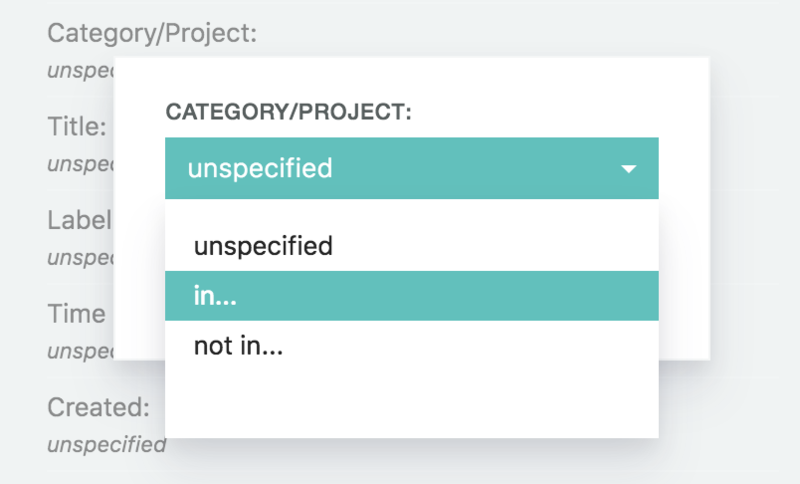 Smart Lists are lists that automatically get created based on some predefined criteria. 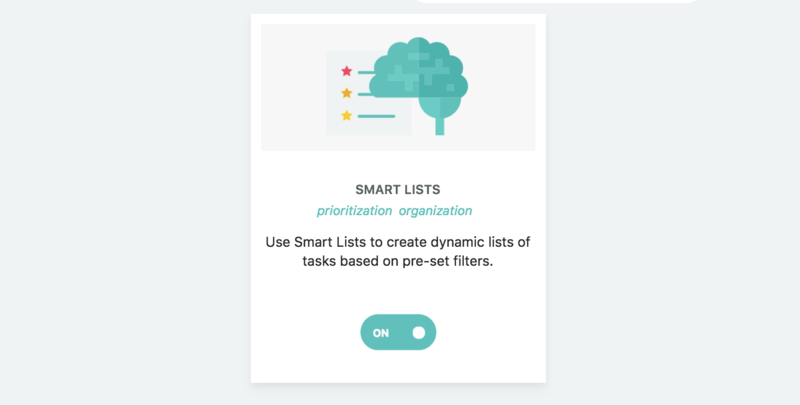 Turn on the Smart Lists strategy to start using Smart Lists. You might want to have a list where you see every task that is due within the next 7 days. Or you might want to have a list of every project that currently has a priority 3 (red star) AND is due within the next 30 days. To set up a Smart List, click on the top right menu and select "Smart Lists". This will open the Smart List overlay. In the overlay click on the "Add Smart List" button to open the Smart List configuration dialog. Alternatively, you can also click on the "Smart Lists" tab in the sidebar anywhere and create a new Smart List from there by clicking the "Add Smart List" button. First give the Smart List a name at the top. Then select filter criteria in the left column under "Filters:". Make sure to click the save button after you are done selecting your filter criterion. You can select as many filters on the left as you need. The resulting Smart List has to match ALL the filters you set. 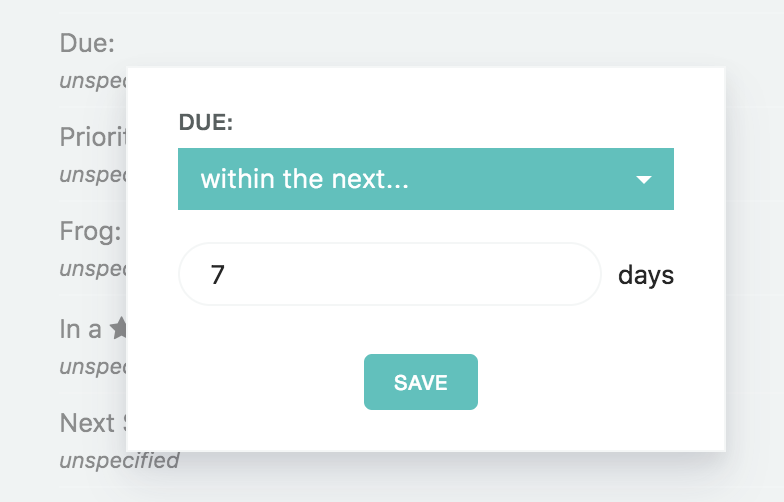 So if you select "tasks", "due within 7 days" and "in category Household" it will make a list of just tasks that are due within 7 days AND in the Household category. For example, if you want to create a Smart List that has a label @home AND a label @quick you can set this up with an advanced filter. The advanced filter option is at the very bottom. 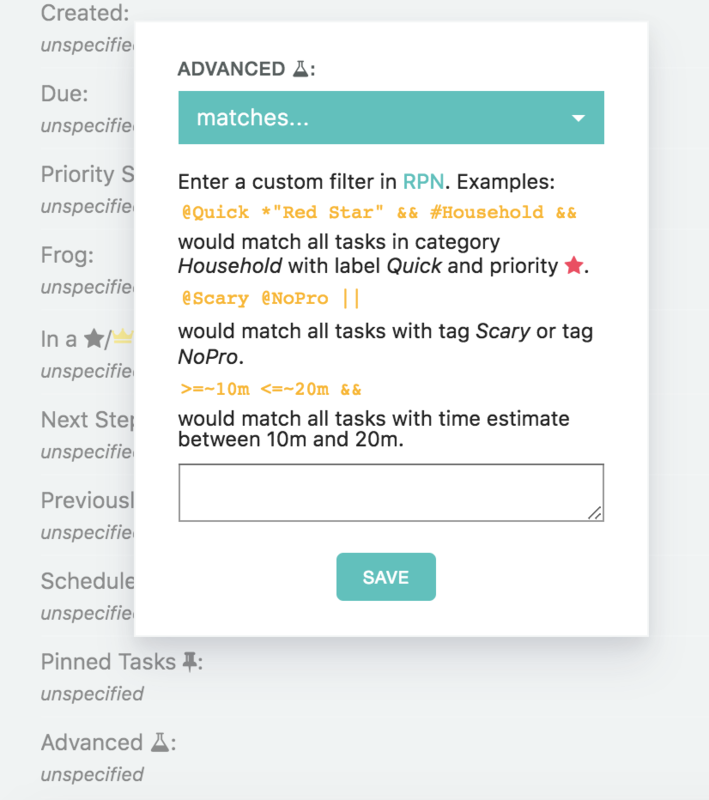 To set up an advanced filter you add your specifications in a specific format (RPN) using the Marvin shortcuts to describe properties of tasks. Make sure to save your Smart List before closing the dialog! Click the save button at the bottom right to create your Smart List or save any changes you made to it. Missing a Smart List filter? 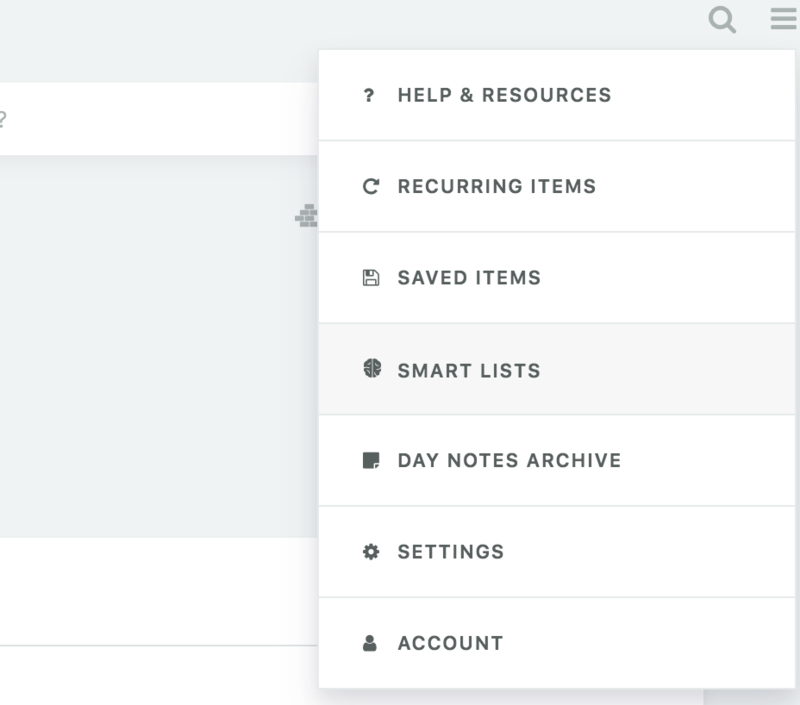 There are still some Smart List filters on our to-do list we want to add. Write us if you are missing anything in particular and we can fast track it for you. 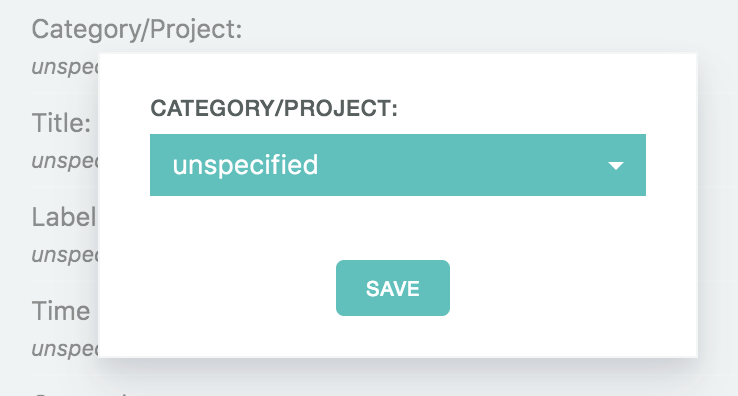 If you selected a filter and want to remove it, click on the first dropdown chooser (colored button with dropdown) and set it to "unspecified" and save it. or clicking the trash icon next to the Smart List in the sidebar. Once deleted there is no way to recover the filter settings. 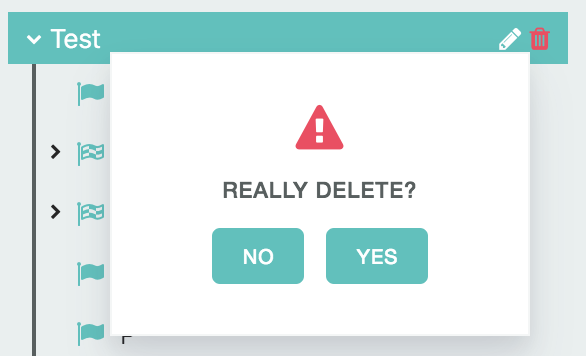 But no worries, none of the actual items (tasks/projects) get deleted when you delete a Smart List. You are just deleting the "filter setup". 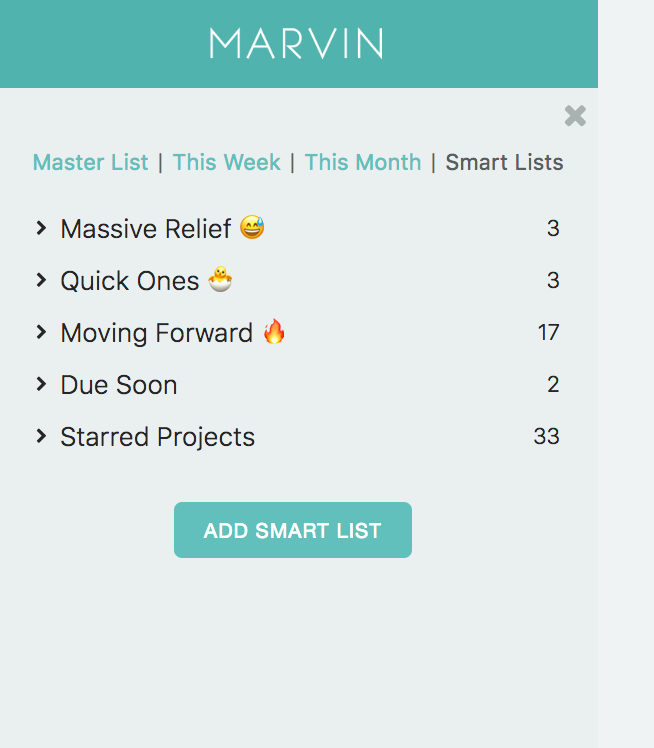 How can I reorder Smart Lists? Can I sort the content of a Smart Lists? How can I work directly from a Smart List?